FSSAI that is the Food Safety and Standards Authority is the primary Regulatory Body. It lays down the entire criteria for the food business operators depending upon the type or kind of business. Central FSSAI License is granted to the food business operator who are running their business on a large scale/ large sale manufacturer or having a turnover of more than 20 crores per year. Depending on the respective category; we are going to discuss about Central License in the article. The processing unit of vegetable oil naturally or via solvent extraction plus refineries with expelling unit with a production of 2MT daily. Slaughter units â€“ 50 large animals/150 small animals/1000 poultry birds daily. Storage/Wholesalers/Retailers/Distributors working within the premises of Central Government agencies. Catering services that come under seaport â€“ Mumbai, Kolkata, Chennai, Bangalore, Hyderabad. Kandla, Trivandrum, Visakhapatnam, Trichy, Cochin, Tuticorin, Marmagoa, Amritsar, Ahmedabad, etc. Form B duly filled and signed by the proprietor/partner/authorized signatory. Blueprint/layout of the processing unit disclosing overall measurements and allocation of manufacturing and operational unit. It is mandatory for manufacturing part. Private company - Record of all the directors with full name and address proof. Partnership Company - Record of partners with full name and address proof. Co-operative society- Record of executive members of the community with full name and address proof. Trust - Record of trustees with full name and address proof. Record of the types of machinery to be used for the business purpose and must mention the details including names, number, capacity, horsepower, etc. An authority letter from the person who will be held responsible along with the second responsible person describing the powers vested with them. Absolute examination report of water used for food processing. Recall plan - in case of repacker and relebeller. The above list of documents is mandatory for getting the Central license or else it might result in cancellation of the application or will take extra time as well. Depending on the eligibility, Form A or Form B is to be filled along with a self-attested declaration and a photo identity proof â€“ aadhar card, voter id, driving license, etc. After filling and submitting the form, the authorities will examine and verify the details followed up with inspection to assure the authenticity of the documents and details provided. After completing the investigation, FSSAI central license will be issued within 60 days. Note - In case of any such delay will not affect the operation of the business. Note â€“ If the FSSAI central license renewal is not done on time then a penalty will charge as Rs. 100 each day of delay. 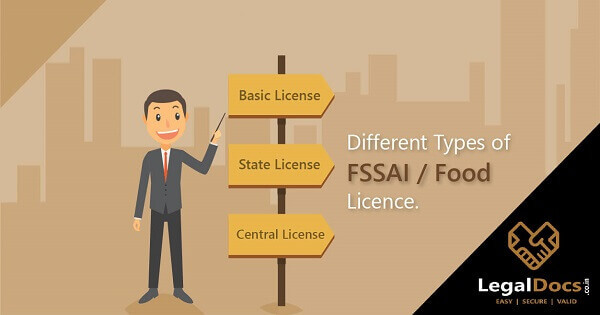 If you have passed the eligibility criteria and are ready with all the details, the next step is to apply for FSSAI licence without any delay. Many FOB gets confused with eligibility criteria and a lengthy list of FSSAI central license documents. For this reason, they are not able to get the document on time. We LegalDocs are ready to serve you with the best of services and will make sure your requirement is fulfilled within stipulated time period. 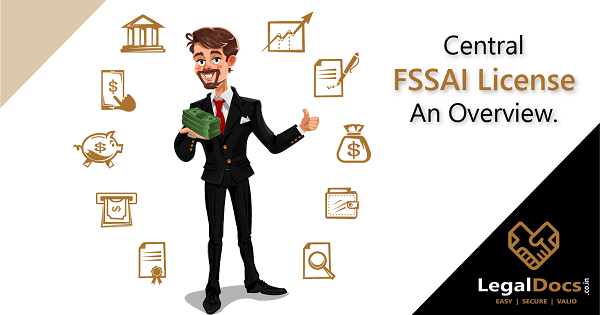 Our experts will guide you through the entire process and will get your Central FSSAI License in your hand. Are you looking for Central FSSAI License in India? 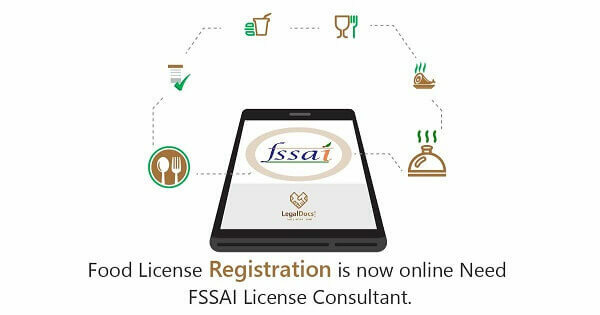 Legaldocs will guide you in getting all necessary Food Licensing and Registration required to get your Central FSSAI License, Please click on the following link to connect with our consultants. Why Importers Exporters need Central Licence only? My business is new and turnover is small I am planning to export food, which license i will need? ?